You might think a book with no pictures seems boring and serious. Except . . . here's how books work. Everything written on the page has to be said by the person reading it aloud. Even if the words say . . .
Blork. Or Bluurf. And even if the words include things like Blaggity Blaggity and My Head is Made of Blueberry Pizza! That's the rule. That's the deal. 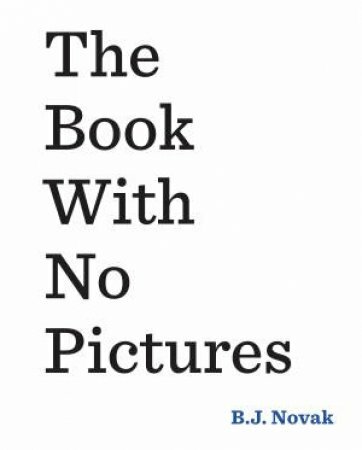 Brilliantly irreverent and very, very silly, The Book With No Pictures will delight kids and have them begging for more. From award-winning US comic writer and actor, B. J. Novak.